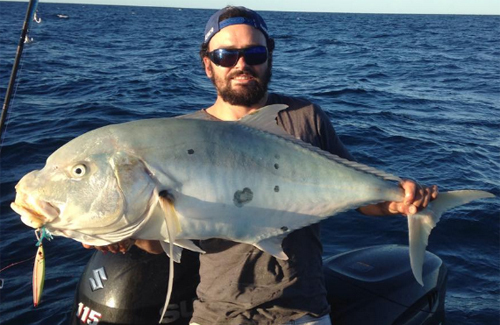 Some of the best offshore fishing in WA can be found around the islands, Bernier and Dorre, off the town. 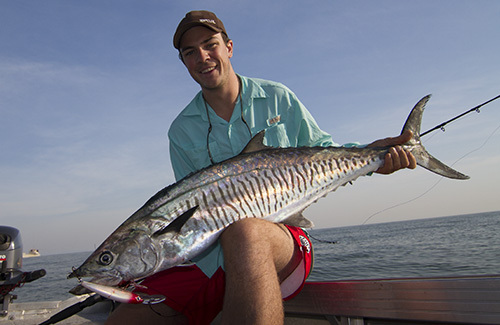 The west side of both islands offers great bottom fishing for a wide range of species. 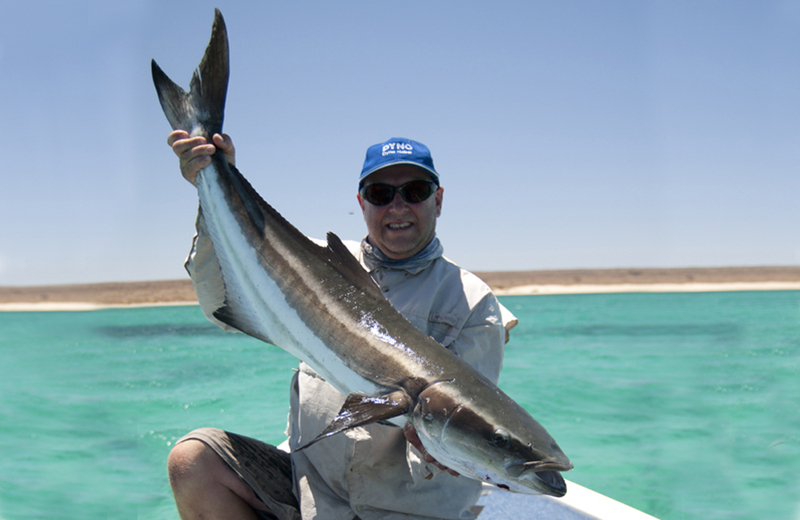 Pelagics that can be encountered include spanish and shark mackerel, wahoo, several species of tuna and billfish. 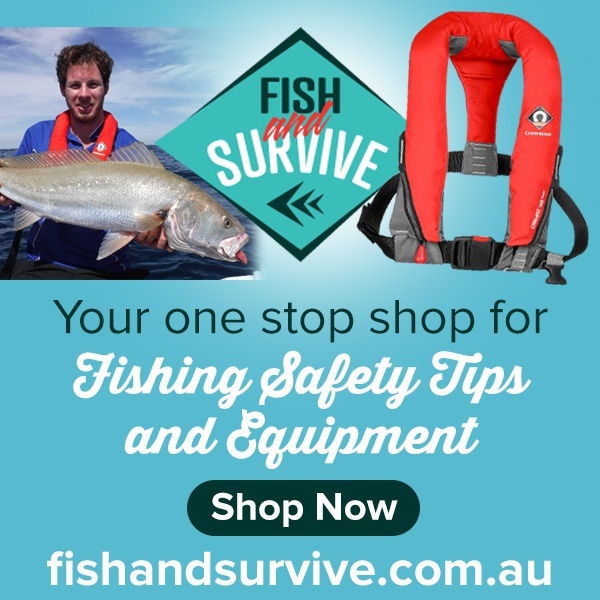 Bottom fishing can produce pink snapper, rankin cod, coral trout, red emperor and countless species of trevally. 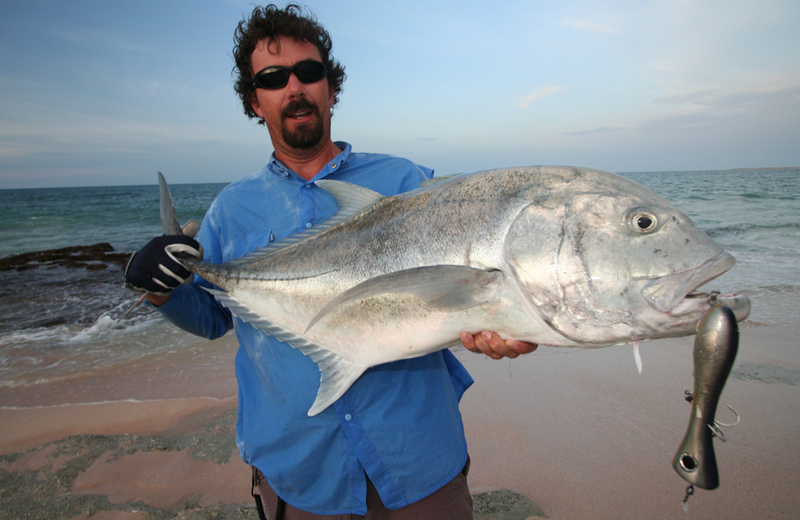 Fishing close to the islands can produce big giant trevally. 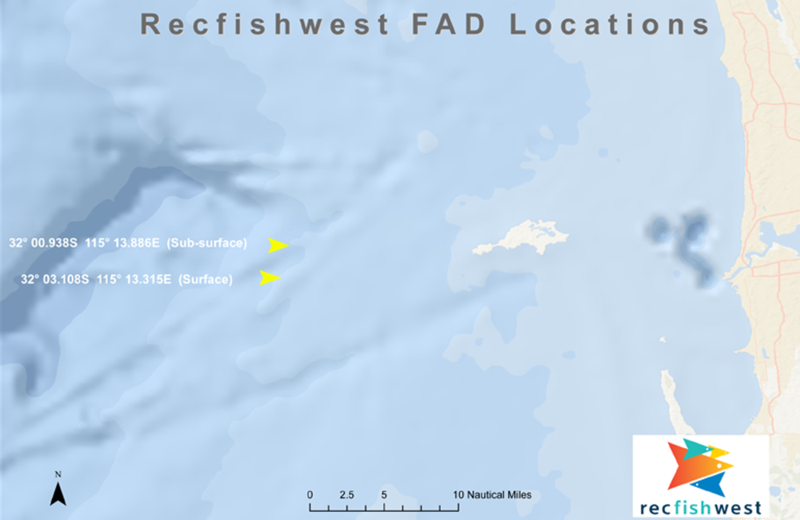 Inside the islands, there are plenty of squid around the weed banks. 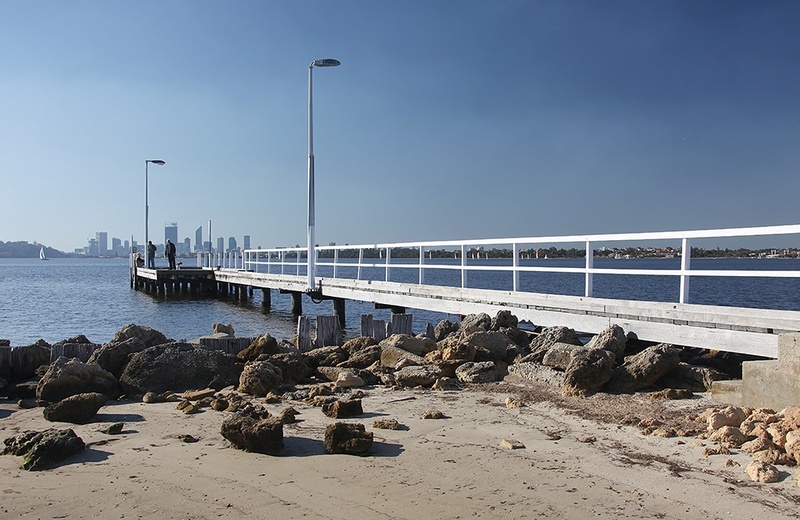 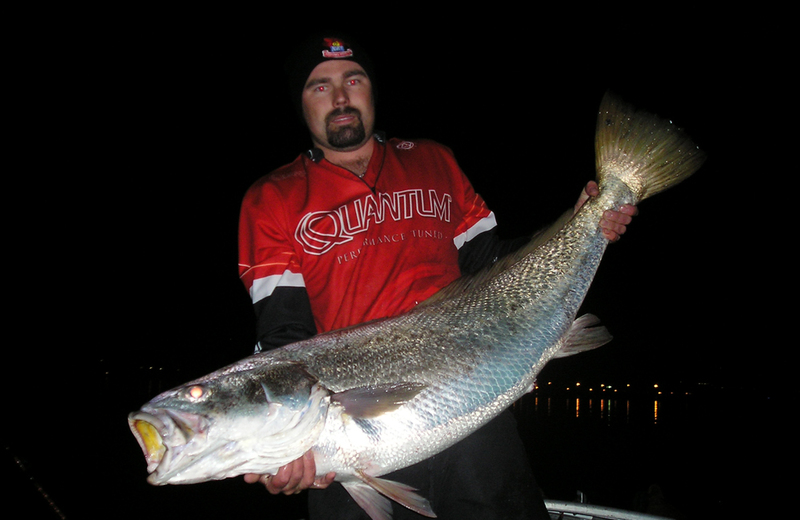 The Carnarvon Jetty is famed for its big mulloway runs at times, and can also produce tailor, school and spanish mackerel, trevally and queenfish. 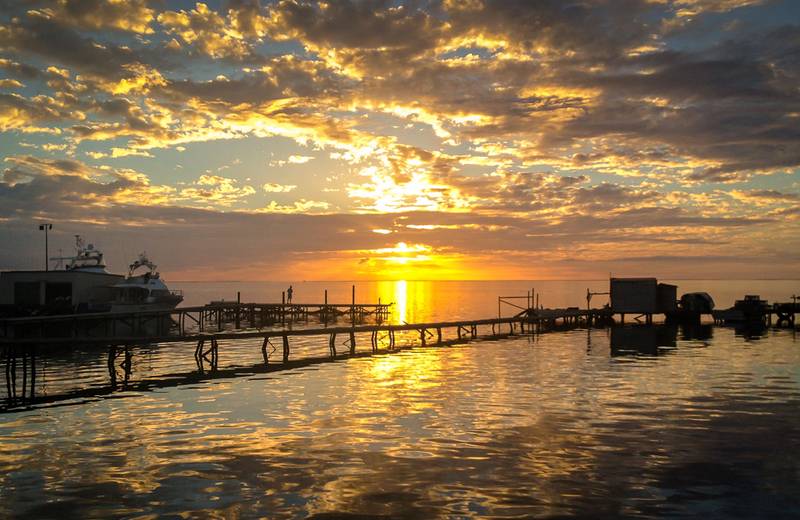 The shallows around town, including the Fascine, offer yellowfin bream and yellowfin whiting, as well as flathead, and even bonefish. 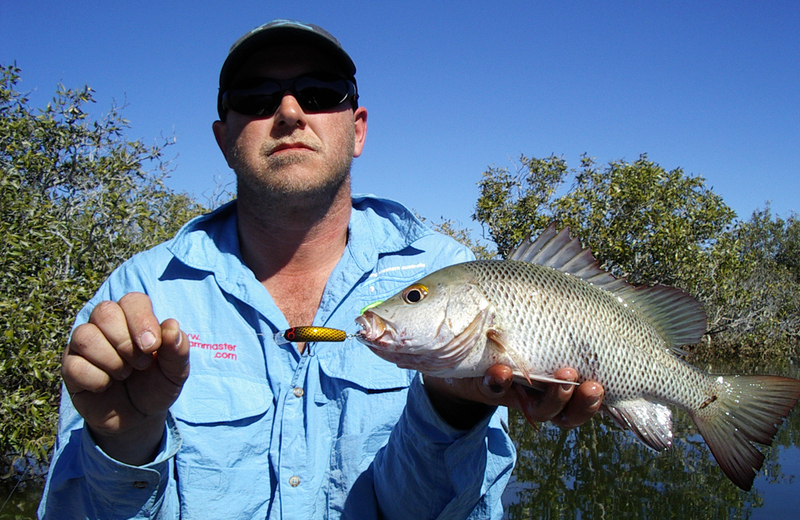 Mangrove jack can be found in local creeks, while both blue swimmer and mud crabs can be caught around Carnarvon. 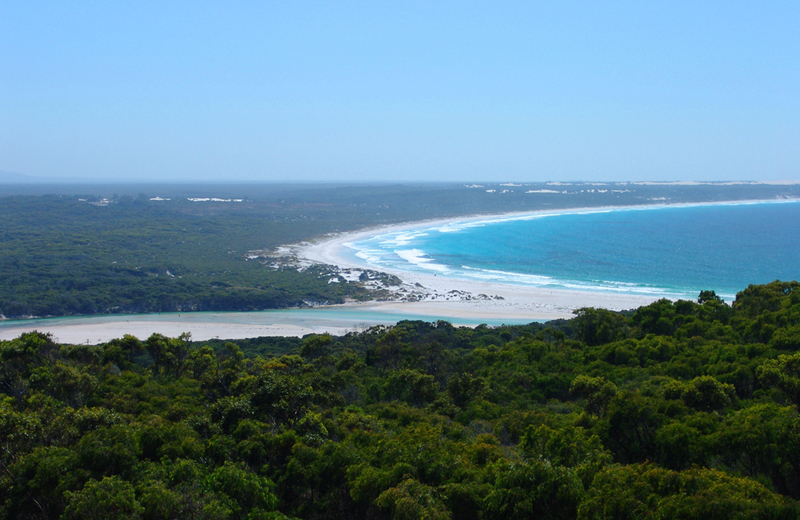 North of town, the Quobba stretch of coast is famous for its shore fishing. 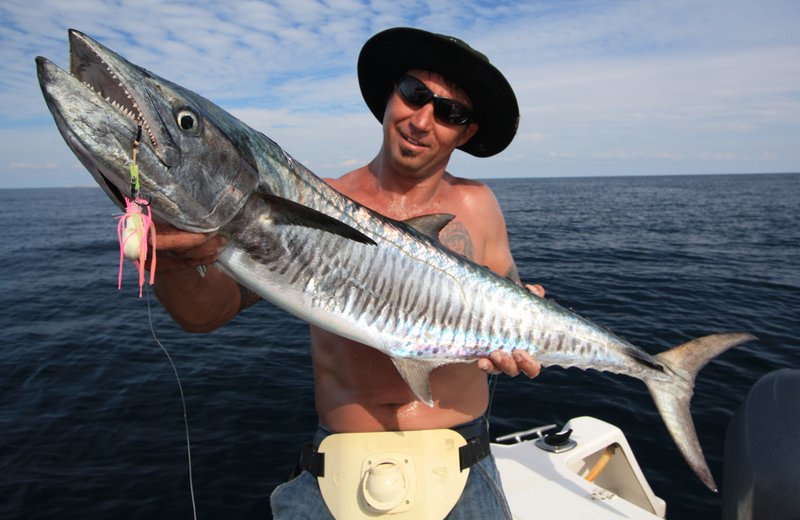 Deep water close to shore means good spinning and ballooning for spanish and shark mackerel, as well as tuna. 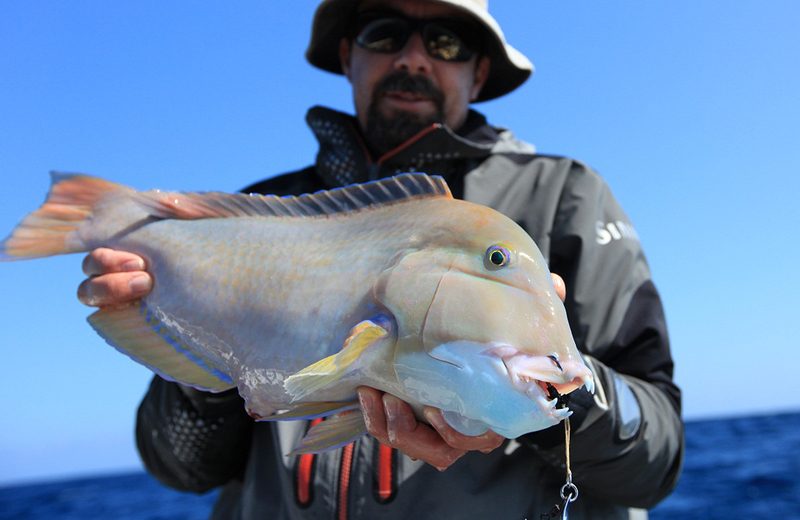 Spangled emperor are a common catch from the rocks, as are baldchin groper. 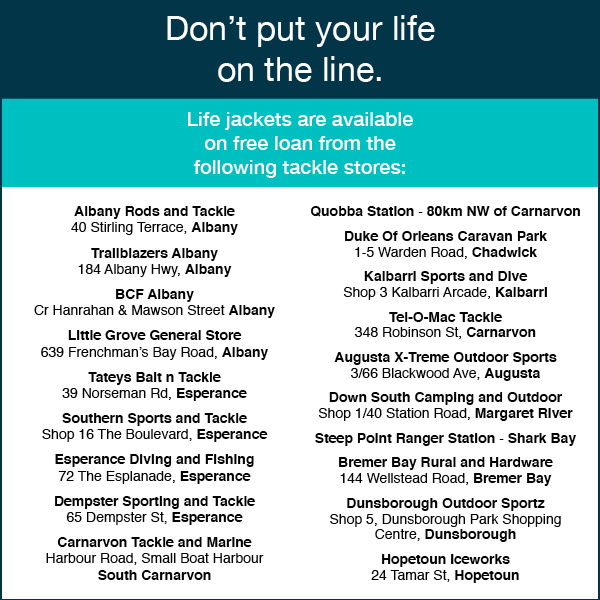 Please note that this stretch of coastline is extremely dangerous and I Love Fishing recommends anglers take great care to follow the advice in the Rock Fishing Safety guide. 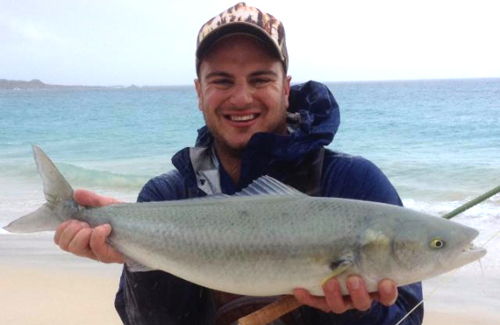 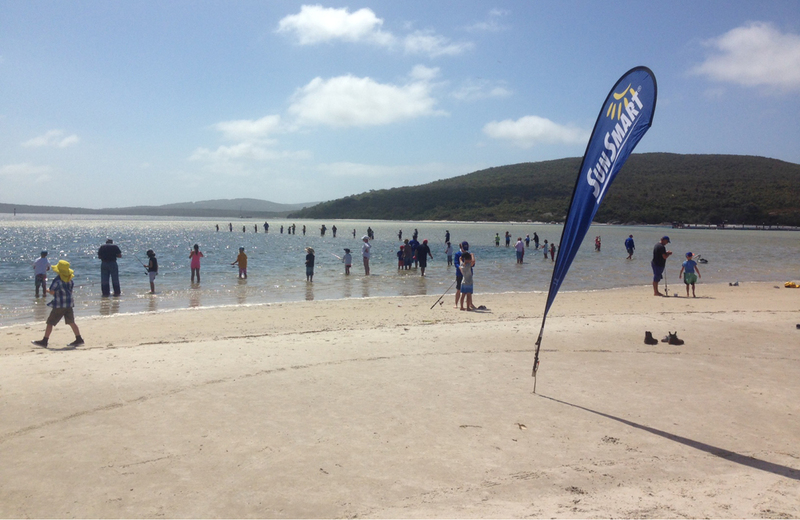 Anglers should only fish the Quobba coast during calm weather to avoid the chance of being washed off the rocks. 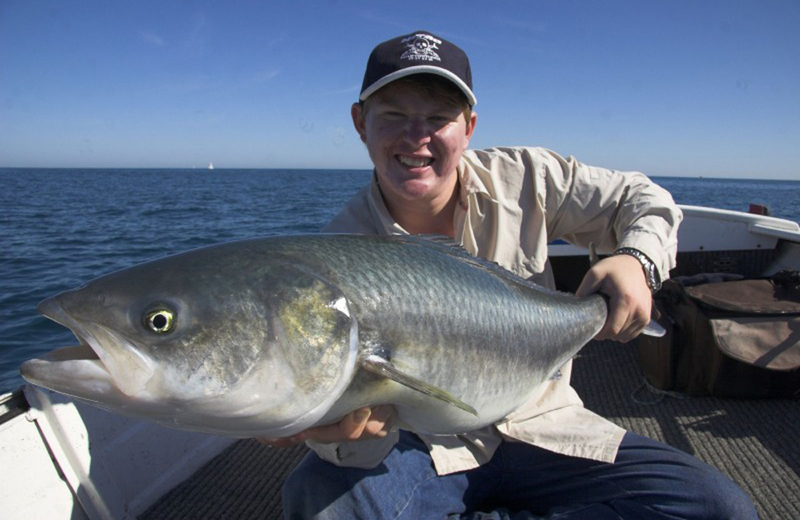 There is good spangled emperor fishing in the shallows around Gnaraloo, while boat fishing out of there can be good for mackerel and tuna, plus all the usual bottom species found in the region. 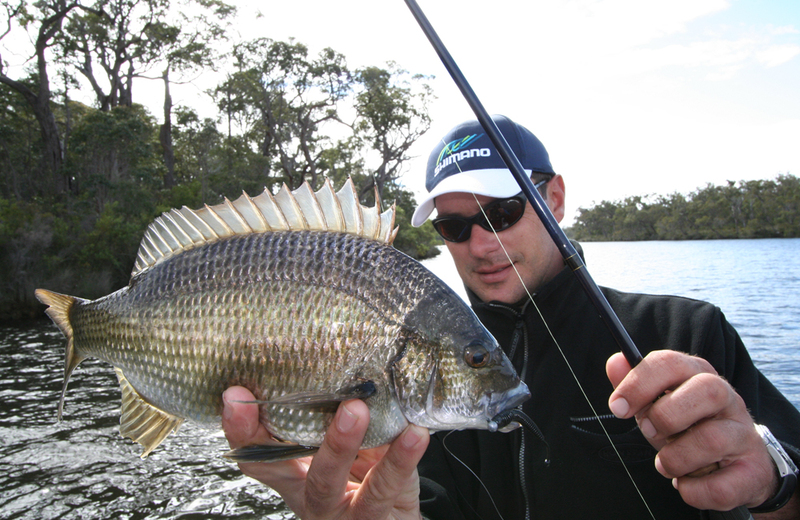 For the very latest information check out our fishing reports, plus there are details of the best fishing spots on our Where to Catch page. 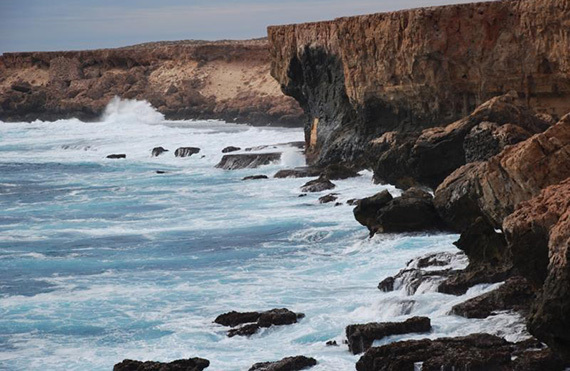 Fishing from the rocks is dangerous. 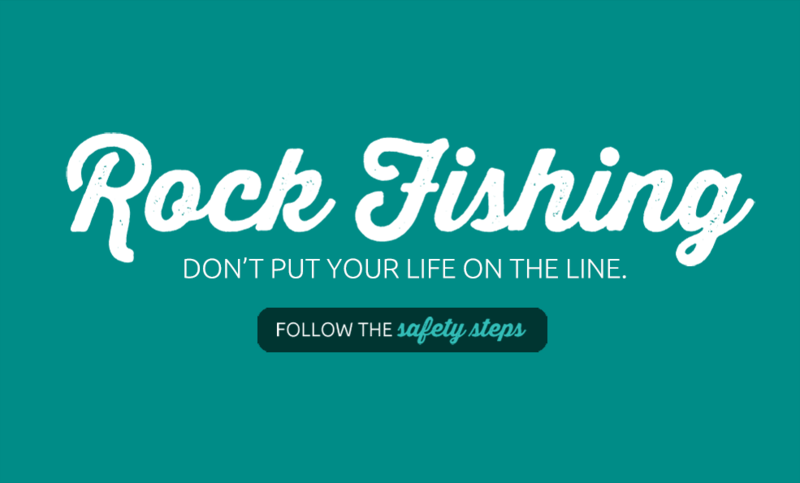 More information about staying safe while rock fishing can be found in our Rock Fishing Safety article.